Check out the best application available on play store for freedownload. 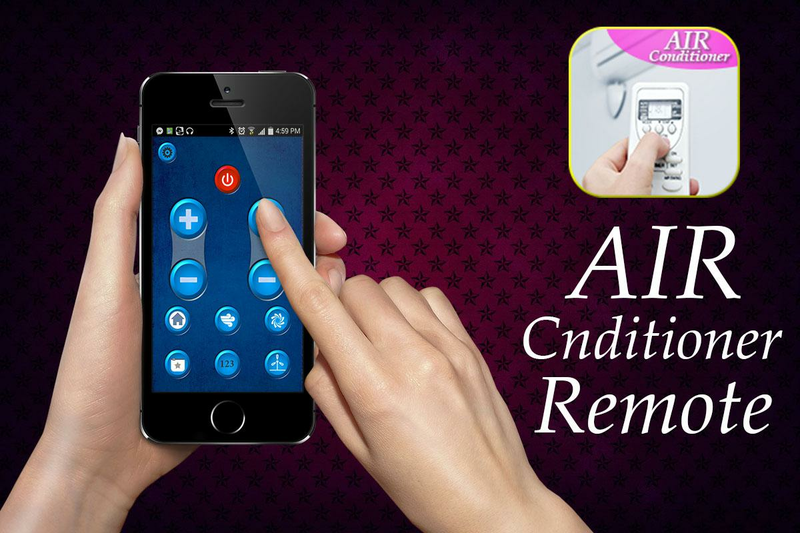 Using this ac remote you can fool your friends that youcan control the temperature of air conditions and otherfunctionalities. This application has a sound effect upon increaseor decrease in temperature of ac. Have some fun with friends andfamily members using this app. 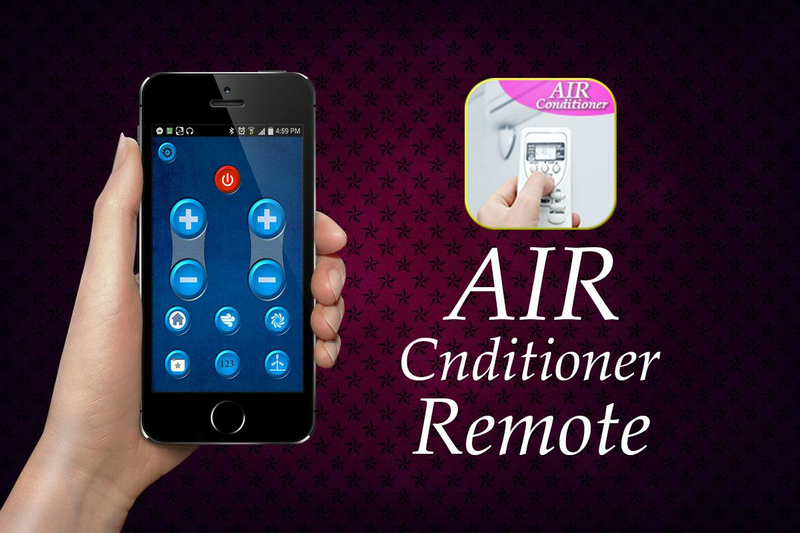 ,turn your smart phone to a smart AC remote.this remote is one ofthe universal remote which we are listed around top 100 brands ofAir Conditioners world wide .check the list and found whether yourremote are here or not.if yes download our app and try to turn yoursmart phone to your smart AC remote.following are the brands we arelisted in our remote app. 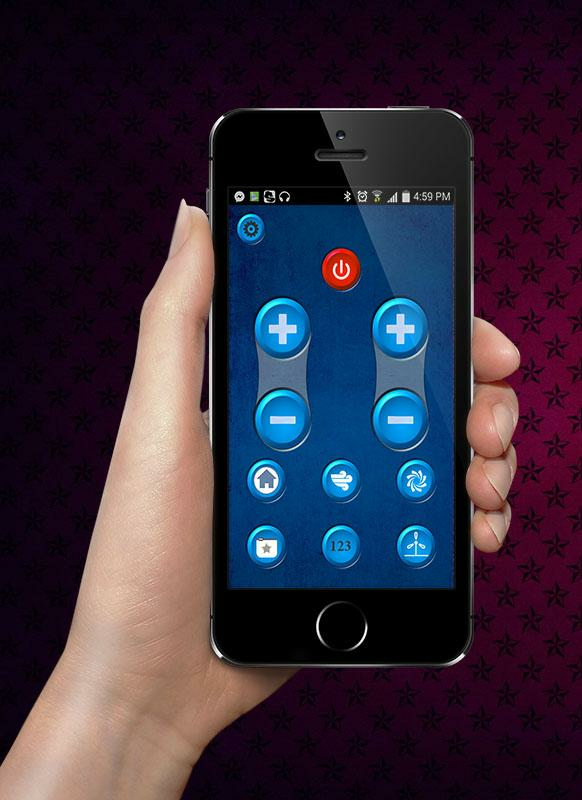 Simple unofficial Samsung TV IR remote controlfor phones and tablets with built-in IR blaster (Samsung Galaxy,HTC ONE, LG G2 etc). The purpose is not to replace the originalremote, but it is handy in emergency situations (original remote islost, empty batteries etc).This app uses built-in infrared port (IR-blaster). If yourphone/table doesn't have it, but your Samsung Smart TV has network(WiFi/LAN) interface, then you may be able to use similar app withWiFi interface: Samsung TV Touch Remote (WiFi)Tested with Samsung F6400 TV, but probably works also withothers Samsung Smart TVs (if it does, then let us now and givefeedback).★ Works with Samsung phones and tablets with built-in IRsender★ Works with some phones with Android compatibe built-in IR senderand Android 4.4 KitKat like HTC ONE.★ You must point your phone’s IR blaster directly at the TV. Usualworking range is 1-3 (max ~5 meters).★ No additional hardware is needed★ No full screen ads, no push notification ads or any kind ofsimilar pop-up ads!With some phones in power saving mode or with almost emptybattery the IR blaster might not work or range is less then5ft.NB! At the moment this app is not compatible with HTC (runningon Android 4.4.x). If you have HTC M7/M8, then feel free to contactme by e-mail, I can add you to beta releases group.If this app doesn't work with your phone or TV then feel free toe-mail me (your exact TV and phone model). Then I can try to addsupport for your phone or/and TV model.Disclaimer/Trademarks:This app is NOT affiliated with or endorsed by Samsung Group.Samsung is a trademark of Samsung Group.Warranties:This software is provided by author ''as is'' and any express orimplied warranties, including, but not limited to, the impliedwarranties of merchantability and fitness for a particular purposeare disclaimed. In no event shall author be liable for any direct,indirect, incidental, special, exemplary, or consequential damages(including, but not limited to, procurement of substitute goods orservices; loss of use, data, or profits; or business interruption)however caused and on any theory of liability, whether in contract,strict liability, or tort (including negligence or otherwise)arising in any way out of the use of this software, even if advisedof the possibility of such damage. Want your friends think you are getting animportant call and you still prefer them over celebrities Likepresident or any other celebrities?Fake Caller helps you to select a caller from your contact list orenter new contact. One can also select time for calling and set upmultiple fake calls for different timings.“Record your voice” feature allows you to record fake callervoice. This recorded voice can be played automatically when youwill get a call.How It Works:1. Choose you want to simulate: Fake call or Fake SMS.2. Set Name, telephone and photography.3. Record your voice: The voice can be played automatically whenyou lift a call.4. Write your own SMS Messages for Fake Chat.5. Choose delay time to receive fake call or Fake SMS.6. Fool your friends !! !Why use our app Fake call prank. ?✔ Fake call is free. It will always be free.✔ You can create Fake SMS chat and fool your friends.✔ You can make fake calls all you want and receive Fake SMS.✔ Fake call Prank does not require internet connection.✔ Fake call Prank FREE fun for all.✔ We will update the application regularly.✔ Fake call Prank is completely free download.An application prank to fool your friends! Where's the phone? This mobile applicationcell phone Tracker and scan your whistle-Record by a smart scannerinstalled on the application, is one of the popular and rewardingapplications to track your phone only by whistling.★★★* How can I track a phone just only by whistle-record? * Did you forget your phone? * How can I scan a place to find my phone? * Do you have try gps tracker and you can't find your phone? * You forget where you put the phone? * Did you complain about the loss of your mobile phone? * Has anyone of your friends stole your phone by funny? * Did you complain about the loss of mobile phone around the houseor at work and you tired of searching it? * You friends joke with you and they hid your phone?★★★Is the best Application Android Finder (Phone Locator) to track andlocate your mobile.This application and as you see in the screenshot, allows you toreceive your whistles with your microphone of the phone, and hetells you all alone with your ringtone you choose simply to locateand track your phone fastly!QUICK AND EASY to use!you can whistle up to 100 meters of the phone, beacause it's asmart recorder.the mode flashing lights or flash alert is not smart to do the job,by this application you can find it easy!And this way you can locate your phone using this application forFree!It is possible to choose among 5 different whistle detectionsensitivity levels! whistle Android Finder FREE is just ready toadapt to any Android device regardless of the specifics ofintegrated acoustic components.★★★This app we can name it gps tracker or whistle tracker !This improved version works faster and smarter, no problem, you canalso get the phone to the menu and the application stillworks!Try free and exclusive and do not forget to leave your comments andgood feedback if you like our application well!